In the face of any great event, logic and rationality are often the first things to go out the window. People sometimes focus on things that are seemingly trivial, that’s why we see refugees carrying toasters or TVs on lifeboats. The things we hold dear are probably not what will keep us alive in the end. 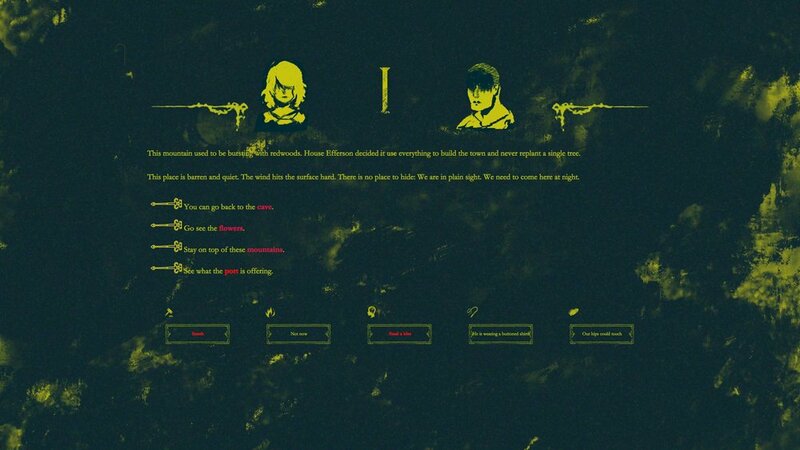 Set in the world of The Shrouded Isle, this short narrative experience features two teen cultists sharing four seasons of love instead of worshiping the ascension of their elder god Chernobog. Disclaimer: This game is free and fanmade, using assets graciously provided by Kitfox Games, from their Lovecraftian inspired cult manager The Shrouded Isle.